The 1969 Woodstock festival is among one of the events that most shaped the music industry and the history of the entire world for that matter. This legendary festival features a roster of many of the greatest names of the era. 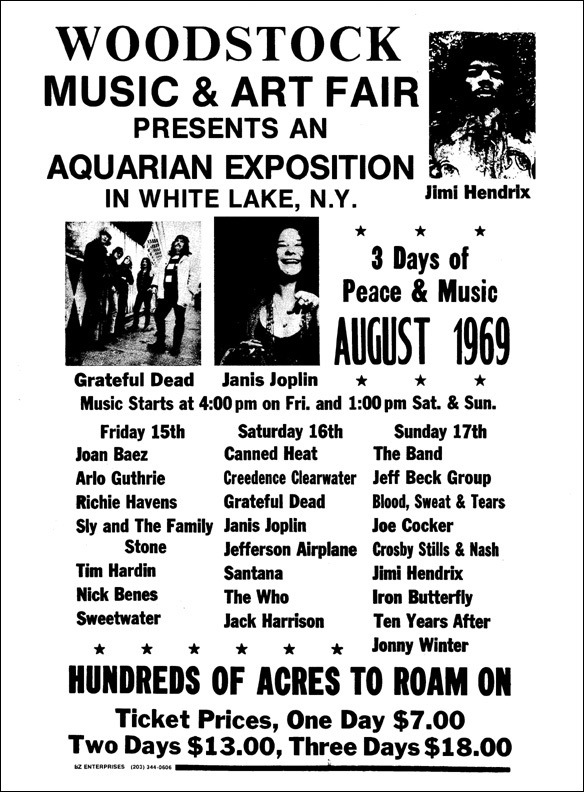 Woodstock Poster featuring many of the greatest names from its contemporary music scene: Creedence Clearwater, Grateful Dead, Janis Joplin, Jefferson Airplane, Santana, The Who, Jeff Beck, Joe Cocker, Crosby Stills & Nash, and Jimi Hendrix, to highlight some. This highly celebrated documentary was nominated for three Oscars, one for best sound, one for best film editing, and one for best documentary, that latter of which the film emerged victorious. It was also inducted into the United States National Film Registry for being “culturally, historically, or aesthetically significant.” (Imdb.com) Arguably, all three. 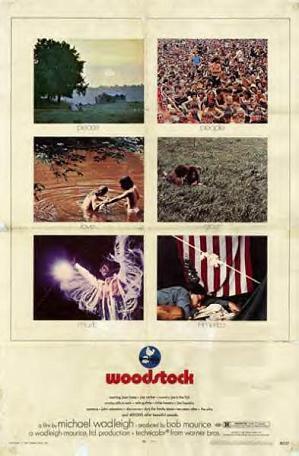 The Woodstock documentary is given so much attention as a piece of cinematic art for many of the same reasons that the festival itself was so legendary. It embodies the very spirit and gives a microcosm of sorts of the 60’s counterculture that was so rooted in the festival. It became an anthem of sorts for the protest movement, and furthermore the documentary is responsible for the preservation of the memory of this momentous event. With its previously mentioned induction into the National Film Registry, the film has become immortalized, to live long beyond the memories of the lucky few who had the opportunity to go and are still around to talk about it. As the festival took root in the political protest of the Vietnam “conflict”, one of the most iconic moments of the whole film is a performance by Jimi Hendrix of the Star Spangled Banner, in which he uses the guitar in innovative ways to imitate the sound of fighter jets and bombs dropping and interjecting it into the American national anthem. Thanks to this documentary, this timeless performance is immortalized for posterity to see, appreciate its artistry, and serve as a reminder of the perils of warfare.